“I think they wrestled for it.” This was one Wisconsin student’s answer when we asked who had the right-of-way to the planks if two wagons were traveling toward one another on a one-lane plank road. Since the book launch in May, Hilda and I have spoken to various groups at schools and museums and bookstores. Last week we were guest speakers at the Graham Public Library in Union Grove, Wisconsin, as part of the 50th anniversary celebration of our hometown library. In our historical presentation, we spoke about how the stories we’d heard as children had influenced our writing. Several members of the audience also had stories to share that evening. The biggest news is that we think we have found the old McEachron tollhouse. A former neighbor from a mile or so east on the plank road (just past the Rise) said that she had been told that her house was once a tollhouse. 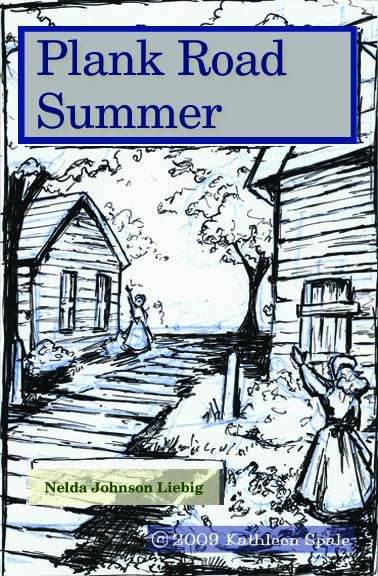 As Hilda and I drove by the the house in question, beyond the tree branches and building additions we saw the unmistakable lines of a tollhouse like the one on the cover of Plank Road Summer. We suspect that this is indeed “our” tollhouse, moved to that location after the Plank Road era. One woman recalled that when she taught at Waites Corners School, Edith McEachron would visit and tell stories of the early days in Yorkville. Potawatomi Indians were present at the birth of one McEachron baby. When the child was born, the Indians took the baby outside and tossed it to one another, leaving the McEachrons to wonder whether they would get their child back safely. They did. One man mentioned that his family home in New York State was on the national registry of Underground Railroad stations. 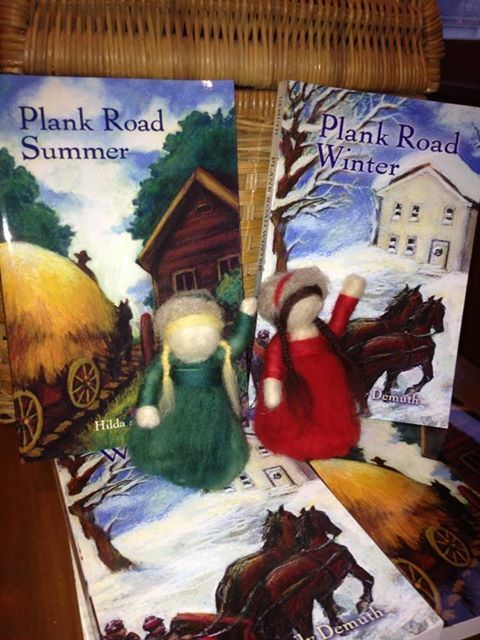 Every plank road, every community and crossroads, has stories to share–and some are better than fiction. As to the question of the right-of-way, the more heavily laden wagon stayed on the planks, while the lighter wagon would pull onto the dirt lane. But I bet that somewhere along those many miles of plank roads, there’s a story of how two men wrestled for the right-of-way. Let us know, please, if you uncover such a tale.